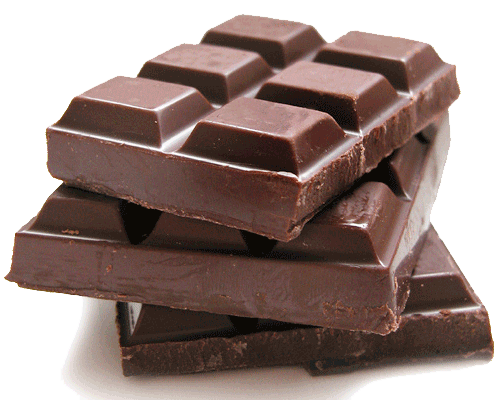 Chocolate has no ingredient in it that contributes to acne or breakouts. Having a bad diet is what can trigger breakouts. If you eat too much chocolate, you might see some emerging pimples or breakouts, but that's because you are putting too much fat and sugar into your body, not because of the chocolate. The same thing can happen if you eat too much chips, fast food, or even drink too much soda. Your diet will show on your skin. So you don't have to give up chocolate or fear getting breakouts if you take a bite of your Hershey's bar or M&M's, it won't hurt you. Just remember what the food pyramid says - eat your sweets in moderation. How many of you knew this already? Any choco-holics out there?